Specializing in customized massage to meet every clients specific need. Offering prenatal, hot stone, deep tissue, and other specialized add-ons to make your experience tailored and unique. Massage therapist since 1999 and graduate of Brenneke School of Massage, Apple specializes in offering truly holistic massages by using a range of techniques and sensory therapies. Trained in Swedish, Deep Tissue, Prenatal, Hot Stone, Lomi Lomi style, Thai Foot Massage, Aromatherapy, and Spa & Sensory Therapies. Credential Number MA 00014102 A Washington native, Apple loves to explore the beautiful Pacific Northwest with her kids, cook fine meals, laugh with friends, and have great massages! By appointment. 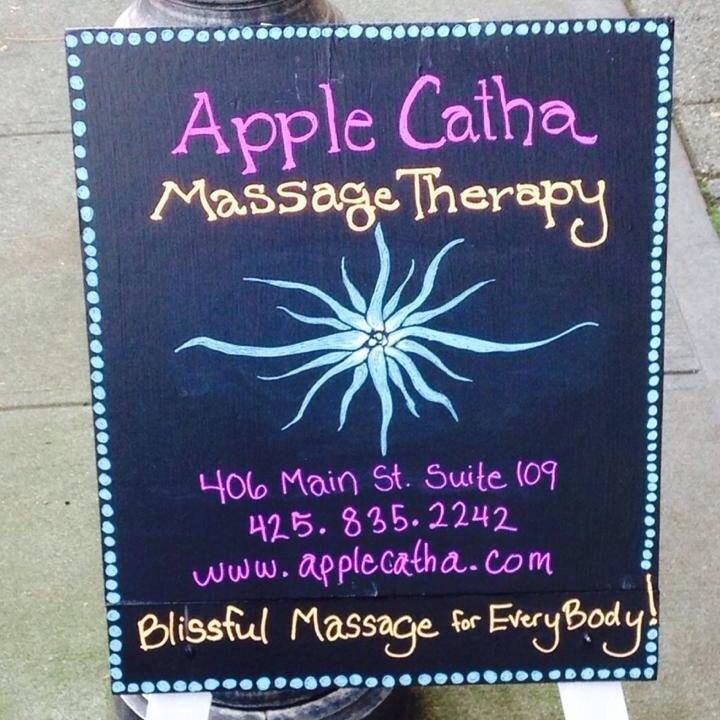 Call or visit our website at www.applecatha.com to make your appointment.